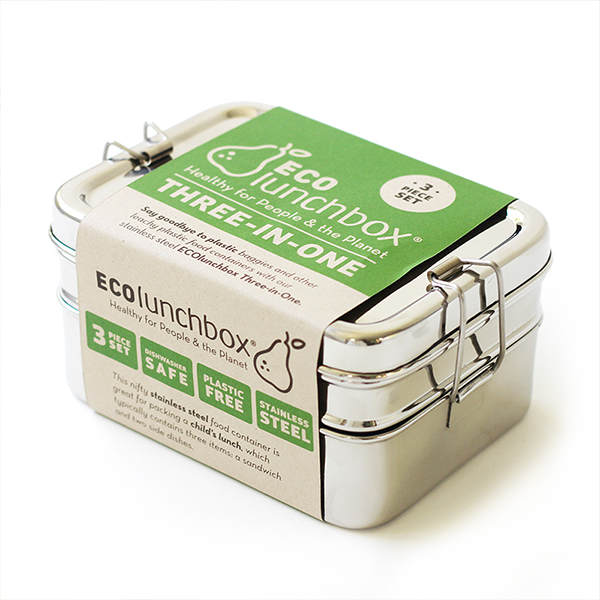 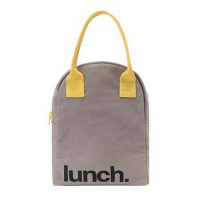 ECOlunchbox Three-in-One Classic is a three-piece nesting bento lunch box set. 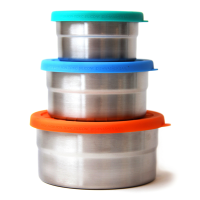 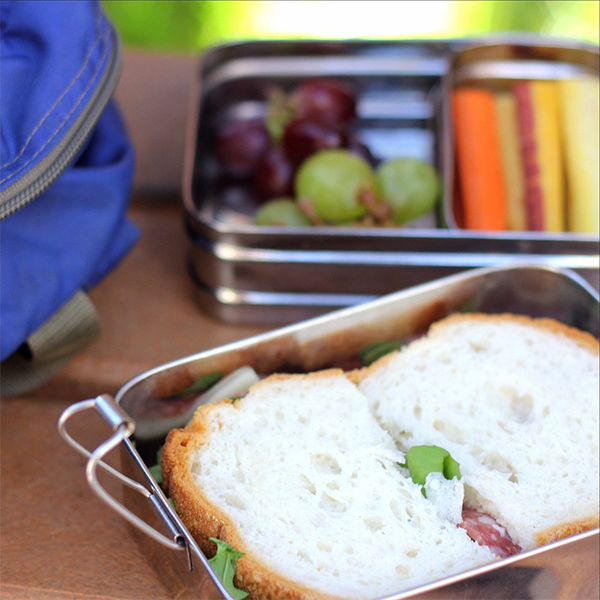 This nifty bento container, made from 100% high-quality, food-grade stainless steel, makes it easy to pack a variety of foods and keep them all separate - and safe from squishing! 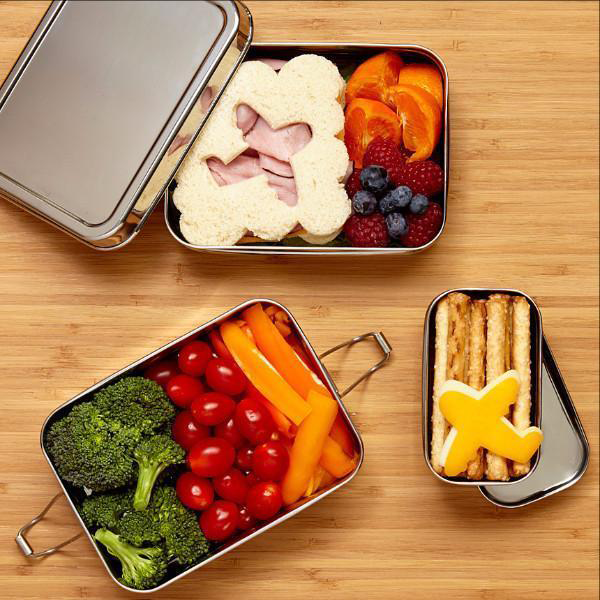 Tuck a small sandwich or wrap in the bottom container and a couple of side dishes in the top container, plus the mini snack container which is ideal for nuts, fruit, vegetable sticks... Or you can pull the snack container out, freeing up more space and pack it separately on top. 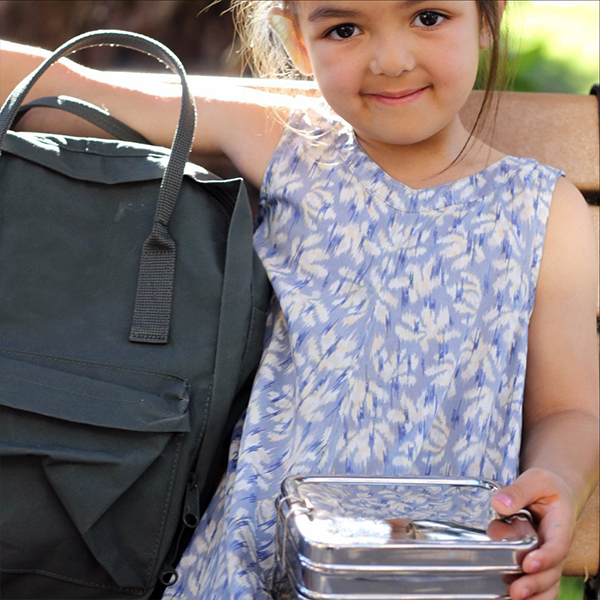 It's all held together with kid friendly, easy opening and closing clips. 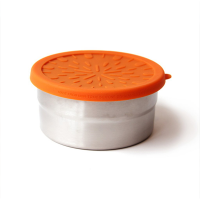 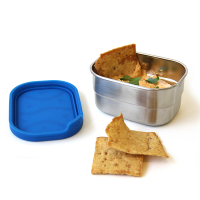 It’s not leak-proof, but if you need to pack something such as dressings or dips, Seal Cup Mini will nest in the top container. 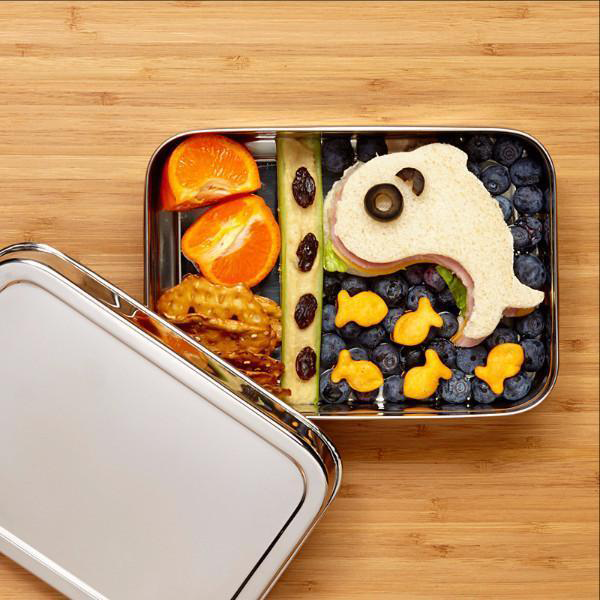 Three-in-One Classic is ideal for younger children and smaller appetites. 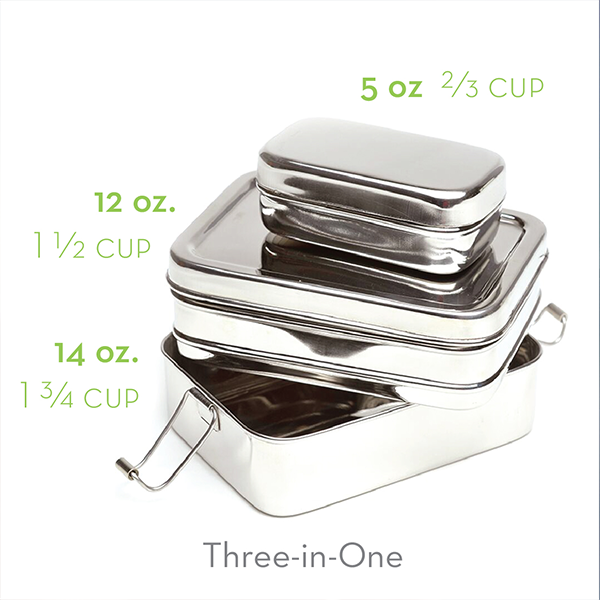 Adults and older children might prefer the Three-in-One Giant, which holds up to 8 cups / 66 oz of food!